It is with heavy hearts and much sadness that we announce the passing of Peter John Shewchuk. 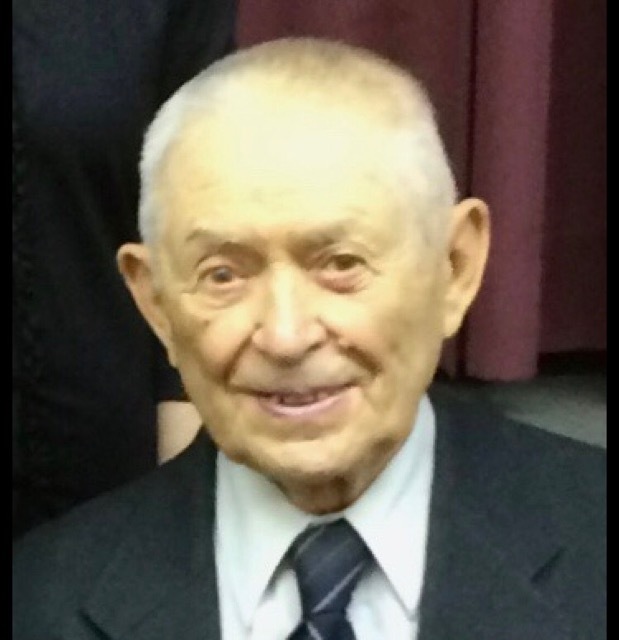 Peter passed away peacefully at the Russell Health Centre on Monday, March 18, 2019, at the age of 96. Peter was born on May 13, 1922 on his family farm in Rackham, near Sandy Lake, Manitoba. He was the second oldest of 4 children, 3 boys and 1 girl, born to John and Mary (Kostuik) Shewchuk. Peter grew up on the family farm, where he started working and helping his parents at a very young age. He shared stories of how he started milking cows when he was just a young boy, and was so small that when he sat down on his stool to begin milking, his head didn’t even reach the cow and he could see right underneath. Peter attended the one-room school at Jackfish Lake, built on the corner of the family’s land. There he completed Grade One to Grade Eight. Following this, he finished Grade Nine through correspondence. Peter’s family lived about a quarter of a mile from the school, and he would either walk or run there and back every day. Often, he would wait until he heard the school bell ring, and then he would quickly take off running to get to school without being too late. Because he lived so close, he would go home every day for lunch and enjoy Baba’s cooking. Peter lived and worked on the family farm in Rackham until 1946, when the family moved to the Binscarth area and continued to farm there. In 1950, Peter met Stella Lapka at the church that both of their families attended. On September 30, 1952, they were married by Reverend Luchkiw in St. Mary’s Church in Russell, Manitoba. Peter and Stella began their life together farming north of Binscarth, just across the road from Peter’s family farm. They happily welcomed seven children into their lives - Josephine, Patricia, Sonia, Teresa, Andrew, Jeffery and Lisa. They continued to live and farm in Binscarth, where Stella still resides. Peter was always a man of very strong faith. He was a dedicated and devoted parishioner, and religiously attended church each and every Sunday, saying, “I will go as long as I can.” He played an important role in the construction of St. Mary’s Church, and for many years, Peter was a cantor in the church, and was the president of the St. Mary’s Executive. Throughout the years, Peter formed friendships with many of the parish priests. He admired Father Mykhaylo and greatly appreciated the time that the two of them spent together - visiting, praying, singing, and receiving communion. Peter enjoyed ice fishing, hunting, and watching curling, hockey, baseball and the news on TV. He also made sure he listened to Dauphin and Yorkton radio stations to hear church services, funeral announcements, market reports, cattle prices, and the weather forecast. Peter always woke at the crack of dawn, never needing an alarm clock. He loved to eat poached eggs for breakfast! Peter was quick to pick up the phone to call family and friends, just to check in, say hello, or have a little chat. Farming was also a big part of Peter’s heart. He treasured his land and during his years on the farm, he enjoyed raising many cattle, chickens, and ducks. He and his trusty John Deere tractor spent many years of harvest season out on the fields together. Peter worked very hard to provide for his family. He taught all of us the importance of dedication, perseverance, loyalty, strength, and hard work. Peter is lovingly remembered and will be greatly missed by his wife of 66 years, Stella, his children and their spouses Josie, Patty (Ron), Sonia (Bruce), Teresa, Andy (Sherri), Jeff (Connie), and Lisa (Steve), his grandchildren Shannon (Jim), Jason (Rachel), Jen (Trent), Sam (Kristel), Kristie (Jon), Jessica, Ashley, Larissa, Jenna, and Joshua, his great grandchildren, Jack, Owen (Peter’s first great grandchild, who shares a birthdate with him), Seth, Liam, Ellie, Luke, Zac and Sawyer, his brother-in-law Jim, his sister-in-law Verna, as well as many nieces, nephews, cousins, neighbours, and friends. Peter was predeceased by his parents John and Mary Shewchuk, his in-laws Andrew and Jessie Lapka, his sister Margaret (Peter and Tony), his brothers Elias (Rose), and Michael (Lena), his brother-in-laws Peter and Michael, and his sister-in-law Jean. Peter always said, “When your number is up, it’s up.” God called his number. Peter was loved and cherished by so many. He will always hold a special place in each of our hearts, and we will forever treasure all of the wonderful memories that we have of him. Peter’s prayer service was held on Friday, March 22, and his funeral service on Saturday, March 23, 2019, at St. Mary’s Ukrainian Catholic Church in Russell, Manitoba, officiated by Father Mykhaylo. Interment followed at Russell Memorial Gardens.